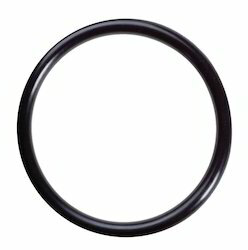 We are a leading Exporter of silicone o rings, fep encapsulated o ring, viton o rings, neoprene o rings, epdm o rings and o rings from Mumbai, India. We offer Silicone O rings in all standards and sizes as required by our clients. We have developed our expertise in the manufacture of standard cross-sections (imperial and metric) to any length or ID. Our Silicone O Rings are used across various sectors like Aerospace, Automotive, Pharma, Chemical, Cement, Heavy Engineering, Mining, Fertilizers, etc. We are engaged in providing the premium quality wide range of FEP Encapsulated O Rings to our clients. Our FEP Encapsulated O rings are designed to address the growing problem of sealing in the most hostile chemical and temperature environments. It combines the best qualities of FEP material outside with its chemical inertness and an elastomer inside for resilience. This unique combination forms a highly effective, long lasting seal for the most demanding applications. 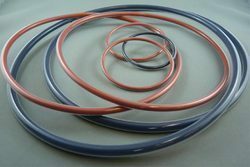 This O-rings are comprised of FEP over Silicon, Viton or EPDM and can be used in temperatures from -60 degree to 205 degree C depending upon the choice of elastomer core. We offer Viton O rings in all standards and sizes as required by our clients. We have developed our expertise in the manufacture of standard cross-sections (imperial and metric) to any length or ID. Our Viton O Rings are used across various sectors like Aerospace, Automotive, Pharma, Chemical, Cement, Heavy Engineering, Mining, Fertilizers, etc. Resistant to acids, alkalies, etc. 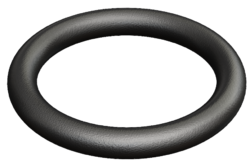 We offer Neoprene O rings in all standards and sizes as required by our clients. We have developed our expertise in the manufacture of standard cross-sections (imperial and metric) to any length or ID. Our Silicone O Rings are used across various sectors like Aerospace, Automotive, Pharma, Chemical, Cement, Heavy Engineering, Mining, Fertilizers, etc. 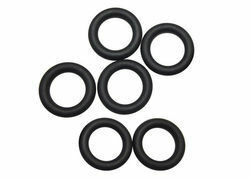 We offer EPDM O rings in all standards and sizes as required by our clients. We have developed our expertise in the manufacture of standard cross-sections (imperial and metric) to any length or ID. Our EPDM O Rings are used across various sectors like Aerospace, Automotive, Pharma, Chemical, Cement, Heavy Engineering, Mining, Fertilizers, etc. We offer O rings in all standards and sizes as required by our clients.